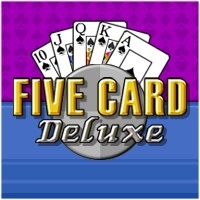 Five Card Deluxe - Poker Card Game is Hot! Give it a Try! 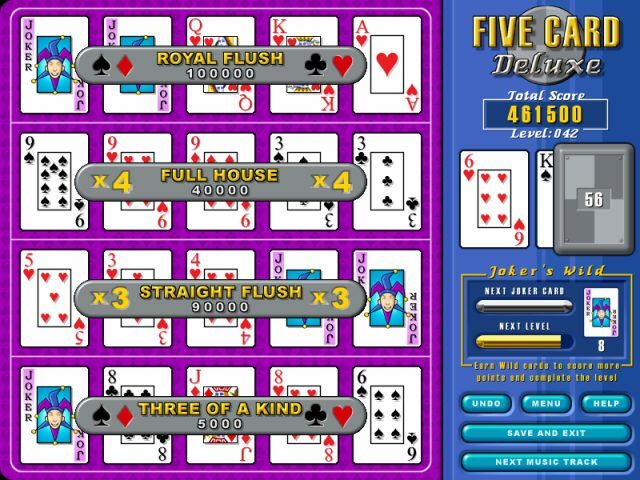 If you like solitaire or poker then you'll love Five Card Deluxe! Place cards from the deck onto the table to form poker hands and score points. Play one of the four modes to find your favorite and you can even save your game at any time. 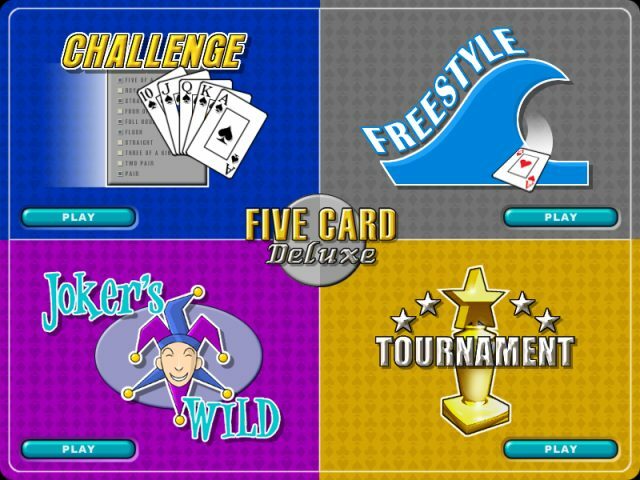 Earn wild cards in "Joker's Wild" or compare you scores with others from around the world in "Tournament" mode. Can you score enough points to advance to the next level? Digbys Donuts Game - A Great Low-Fat Treat! Download and play Digbys Donuts Game now ! Net Gin Rummy - Play Gin Rummy with your friends and PC!